For seven years, Tony was the Senior Educational Director for the amazing Nik Software, then headquartered in San Diego, CA. His introductory video tutorials and workshops reached literally hundreds of thousands of people worldwide. Tony also worked with Sr. Product Manager, Josh Haftel in writing and producing the definitive how-to book on the topic, Nik Software Captured from Wiley Publishing. Come join in as Tony walks you through each of the software products individually with examples of his work then turns you loose to work on editing your own images with his guidance and direction. Understand when and how to best eliminate digital noise, how to effectively sharpen your images as well as all of the color correction solutions built into the products. Silver Efex Pro user interface offers many useful and easy to use options for those wanting to create truly stunning black and white work. This workshop is truly designed to help streamline your editing, enhancement and correction of images, and add an element of creativity that will take your work to a new level. 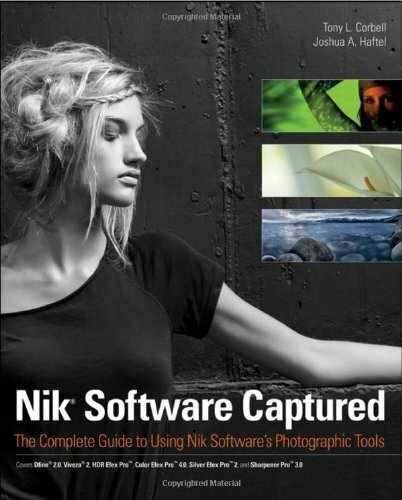 Learn all about the patented and award-winning technology for selective image editing called U Point Technology and find out why millions of copies of Nik Software by Google products have been sold throughout the world. And you'll be learning from the best teacher on the topic. Find "hidden" gems and menus that deliver incredible power yet go undiscovered by many NIK users. Understand the full use of the popular Dynamic Skin Softener found in Color Efex Pro and the almost perfect method of sharpening your images, Sharpener Pro, designed to sharpen based on actual output size, paper surface, and viewing distance. There are too many filters to list but we'll dig in to enhancements, corrections, and color corrections. Click on the Reservation link above to reserve your place in this valuable program.